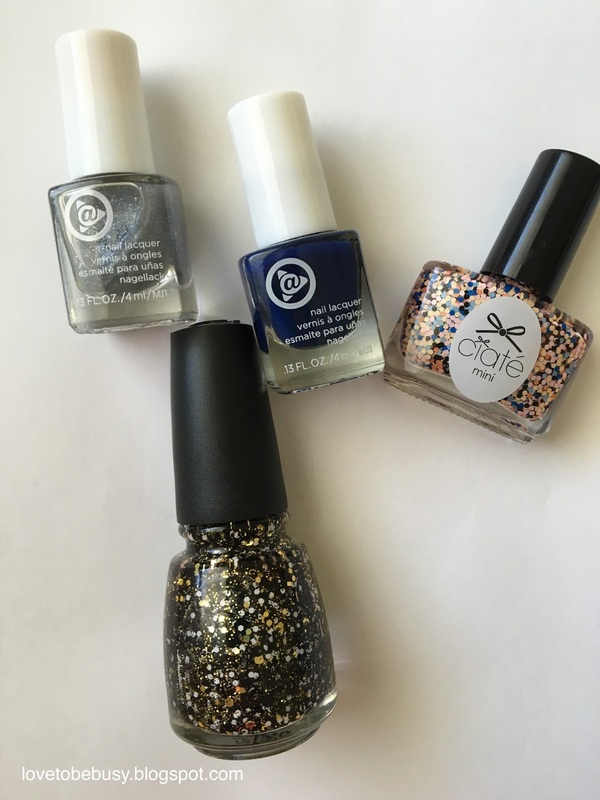 It is time for Update #2 of my Project Polish for the year of 2016. In case you haven't seen my previous posts, my project polish is a bit different than some. My goal is not to use up most of these polishes. My goal is to use them and decide if they are worth keeping. I buy polishes and don't use them or they aren't any good and I keep them anyways. I want to try all of my polishes at least once and get rid of the ones where the formula or color just isn't for me. Over the past few months, the polishes I have liked the most have been the Julep ones I have tried. They were in the colors Hannah and Spencer and the lasting power was great. They wore great for at least a week before I needed to remove the polish. I am decluttering four polishes this update. Mary Kay brand in Silver Sparkle and Mary Kay brand in Inky Blue - These do not last at all. They are streaky and not a good formula. I had previously decluttered a pink shade from this brand also. China Glaze in Boo-Gie Down - This glitter polish is old and has gotten very gloopy so it needs to go. Ciate in Comic Strip - This colors of this polish have changed so I think it has reached the end of its life. In addition to trying out my polishes, I have been avoiding buying more new polishes. I really loved the two Julep polishes I tried out so that brand may be one I purchase more of as I declutter more polishes and colors.